We just love our customers! Thanks for all your nice words! Click a logo above to navigate to the testimonial. 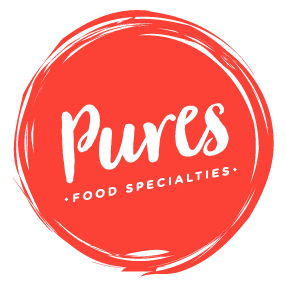 Pure’s Foods Specialties is a leading cookie manufacturing company with a customer list that includes many of the largest retailers, wholesalers, and consumer package goods (CPG) companies in the United States. Pure’s Foods had been using a very old and out-of-date version of Sage 100 when David Sekalias was hired as Vice President of Finance with a mission to upgrade the system and improve reporting and cash management. The reimplementation of Bill of Materials proved to be one of the key challenges of the upgrade. Not only did the structure of the bills need to change, but the costing method also required a switch from average to standard. Sekalias proceeded to outline his vision of the final results “offline” in Microsoft Excel, and the team at Partners in Technology successfully implemented his vision within the software. “The interactions with Partners in Technology were positive all around,” said Sekalias. “They did a good job of following up and providing recaps and notes of meetings, and they were not hesitant to get on the system and show us what we needed to do procedurally when required. Partners in Technology completed the Sage 100 upgrade project on time and on budget, delivering the results Sekalias required. “And, being local makes doing business with them easier. They can be here on location for half a day as we need them. We feel it’s important to have visibility on-site and to sit with other team members as necessary. Editor’s note: Sage 100 is now Sage 100cloud. Ash Equipment Company has been in business since 1965 and is a leading supplier of heating, sensing, and process control solutions. To replace their old accounting system, Ash Equipment evaluated popular software like QuickBooks and Peachtree only to discover that they couldn’t handle the volume of sales, customer, and inventory data that Ash Equipment needed to track and report on.